These are lyrics by Trick Daddy that we think are kind of funny. 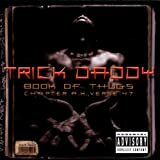 Trick Daddy's, "Sugar On My Tongue"
if i bite you, i bet you'll like it. not really with teeth like yours.